Our PM Scott Morrison replied. He told a Canberra press conference that Recep Tayyip Erdogan’s comments were “highly offensive”. PM Scott Morrison also said; “They insult the memory of our Anzacs and they violate the pledge that is etched in the stone at Gallipoli, of the promise of Ataturk to the mothers of other Anzacs.” “So I understand the deep offence Australians would be feeling about this. It is truly upsetting.” Mr Morrison said he passed on his thoughts “in the strongest possible terms” to the Turkish ambassador. Prime Minister Scott Morrison said he summoned Turkey’s ambassador for a meeting, during which he demanded Erdogan’s comments be removed from Turkey’s state broadcaster. “I will wait to see what the response is from the Turkish government before taking further action, but I can tell you that all options are on the table,” Morrison told reporters in Canberra. At Gallipoli over 130,000 Aussies and New Zealanders lost their lives fighting the Ottoman Turks. I am persuaded that God’s bigger picture was the liberation of Jerusalem from Turkish oppression and paving the way for the Balfour Declaration, a public statement issued by the British government in 1917 during World War I announcing support for the establishment of a “national home for the Jewish people” in Israel, then an Ottoman region with a small minority Jewish population. When John was writing his letters to the seven Assemblies in the book of revelation these Assemblies were all located in modern day Turkey. This is no accident. The seven Churches not only represent seven literal assemblies that existed in the time of John but prophetically apply to the whole body of the Messiah down through history and especially to the Body of the Messiah, the faithful Assembly (Church) in the last days. Why would the blessed Holy Spirit instruct John write to the Assemblies in Turkey? I am persuaded it was because the Holy Spirit “who reveals the things to come” was speaking to the reality of the last days when the faithful Christian Church would be faced with the Beast Empire of Islam that would persecute the saints and that the source of this persecution would come from Turkey. Down through the centuries there have been many antichrists who have persecuted the saints of God, the most known were the Emperors of Imperial Rome and the Popes of Papal Rome. 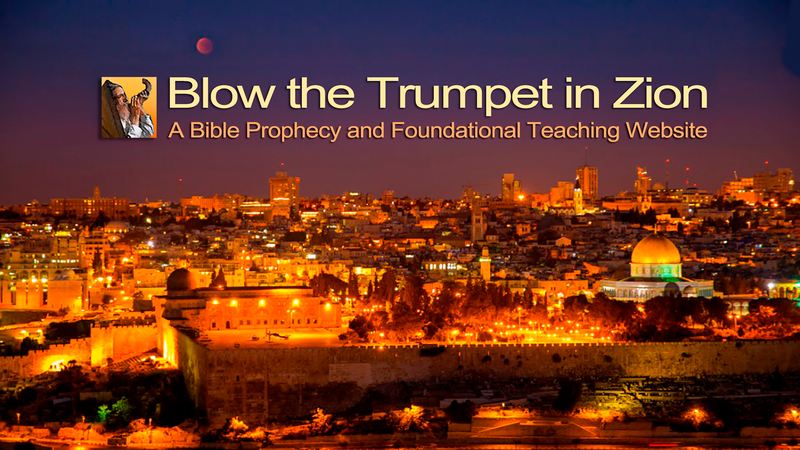 However this man, this “horn” Daniel mentions is prophetically the final Antichrist himself. When John writes to the Assembly at Pergamum he mentions two things about Satan. It is the city “where Satan lives and has his throne.” (Revelation 2:13) Pergamum was the city where Emperor Worship really started in the days of the Ancient Roman Empire. Also it is interesting that at Pergamum the martyrdom of Antipas is specifically mentioned. Christians are already being persecuted by the beast empire of Islam all over the world today. According to Open Doors research statistics 215 million Christians experience high levels of persecution in the countries on the World Watch List. This represents 1 in 12 Christians worldwide. This man from Turkey, if he is indeed the Antichrist, will take persecution and anti-Semitism to a new level of intensity and frequency throughout his domain which will be vast, spreading across the whole of the Middle-East, into much of Africa and into parts of Europe. Having said this we are told what will happen to the Antichrist and to his beast empire, Daniel writes; “I watched till thrones were put in place, And the Ancient of Days was seated; His garment was white as snow, And the hair of His head was like pure wool. His throne was a fiery flame, Its wheels a burning fire; A fiery stream issued And came forth from before Him .A thousand thousands ministered to Him; Ten thousand times ten thousand stood before Him. The court was seated, And the books were opened. “I watched then because of the sound of the pompous words which the horn (Antichrist) was speaking; I watched till the beast (Empire) was slain, and its body destroyed and given to the burning flame. As for the rest of the beasts (empires), they had their dominion taken away, yet their lives were prolonged for a season and a time. Only after the Lord Jesus comes back do the saints inherit the kingdom, not before! Those into Kingdom Dominion, Kingdom Now theology have it wrong! When you consider the seeming arrogance of this man from Turkey it reminds us of Adolph Hitler who was of the same mindset only he envisioned a 1,000 year Reich. In the end Hitler brought fire and death, devastation and destruction upon the German people and himself. Turkey will also go the same root. There is no doubt that President Erdogan wants a revived Turkish Ottoman Empire that expands the globe and is ruled by Sharia law and by the creed of the Muslim Brotherhood. There is no doubt that Australia and New Zealand would be invaded to get back at them if the man from Turkey could do this. Scott Morrison our PM has stood up to President Erdogan and has flexed his muscles against this outburst of Turkish tyranny. New Zealand’s Deputy PM is travelling to Turkey to confront President Erdogan over his comments. Our PM’s stand against this Turkish boasting is reminiscent of the Aussie spirit which saw the Light Horsemen charging the Turkish guns at Beersheba and capturing the water wells there. Those brave Aussies were the catalyst for the liberation of Jerusalem from Turkish oppression and the demise of the Turkish Ottoman Empire which President Erdogan has not forgotten. Of course the man from Turkey wants to take back Jerusalem for Islam. His seemingly expressed contempt for Australians, for Jews and for Christians is clearly evident. Next PostNext God Asks No Man’s Permission!